Rounding up all of the new features that are to be introduced by EA into FIFA 15 individually and in-depth, we start with detailing the correct contact feature. Now players can manipulate the ball more controlled and get past defenders a lot easier than in previous installments. Players are now blessed with greater balance, much better ball control and terrific athleticism. 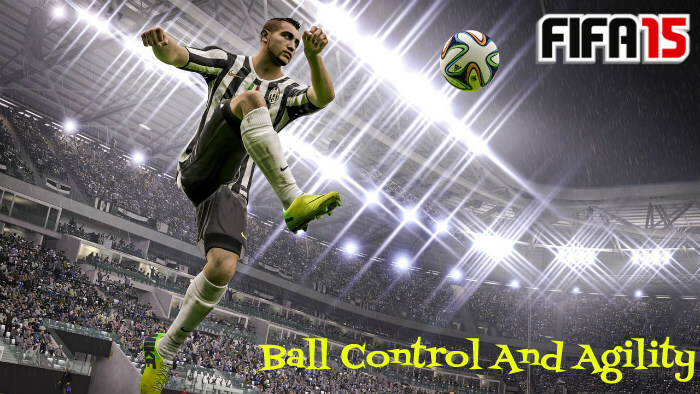 Ball control will be one of the most crucial parts to a gamers all-round game in FIFA 15 as it’s been completely revamped to give a more smoother and slicker feel to it when the worlds best players take control of the football and dribble with it. The contact that the players foot makes with the ball depending on how you curl/swerve the ball will be totally different to previous versions. Accurate flight, curl and spin really shows the amazing attention to detail in the overall movement of the ball. The ball physics will be on show when you pass, dribble and even take a shot at goal to give total realism. The icons of today’s game will actually move in the way that they do when we all see them play for real! Stars such as Ronaldo and Bale will look so unbelievably real, it’s going to add to the experience on a much deeper level. Watch the short trailer below to get an even better understanding of how the correct contacts work in FIFA 15 below.